as soon as I discovered the magazine cover. About a year ago I decided that I finally had enough friends to fulfill a lifelong dream of starting a book-club. Here is a photo of my last chance to attend back in March. I guess the ladies will be carrying on the tradition without me. Which makes me totally ecstatic and extremely depressed. Tonight I may have to go out with LG dressed up like a woman. The thought is cracking me up. While living in Tennessee, one of my greatest life lessons was how important relationships are and how we need to allow others into our lives. The bi-monthly meetings I had with these women was a manifestation to me of God’s love and support. These women are smart. They are fun and they are some of God’s greatest creations. They offered me complete acceptance and love and I miss them somethin awful. I love them all dearly, even the ones missing from the photo, and especially that one in the middle of the photo that got her head cut in two. The good news is that moving so far away hasn’t taken any satisfaction away from reading. I can still enjoy many many books. It’s just that whenever I get done reading a really good one, I have this overwhelming urge for a Panera Apple chip salad and some conversation. I think I will be 85 years old and reminiscent of the good old days with my ladies. Not only have I made memories with these ladies that I can’t shake, they have shaped my universe. I can’t think of any better ladies to do my shaping. The other day I was at the bookstore and I found myself advising an unsure buyer that her friend would love reading The Help and I thought of the evening we all spent at Valerie’s house. LG came home from work a while back and told me that actors had been cast for the movie The Hunger Games and I thought of the discussion about who like me imagined Peeta chunkier. I saw the The Book Thief on the shelf at the library and thought of Rachel and that daunting voice of death. The moral of the story: make friends. And read together. It’s bonding. For life. And so enlightening. you are awesome. those were some fun reading times! I need to get a book club going here! Although, the last club I was in–I read the books every month and came ready to discuss, but no one else did! It should have been called a social club, not a book club! Thanks for coming three times Valerie. 🙂 But most of all thanks for just being my friend who I could always talk to. Annika, Maybe you should move back to Orem so that you and I could start a bookclub. I need a new one. I went to the one in my ward, but it just didn't feel like home to me. I need some good friends who really like to discuss. As a stay home mom I can never find enough brain challenge. Love you. You should do it. Start it with your friends. I loved having mine as mine, and NOT as a church thing. Hearing different perspectives is so vital to our growth. I need to find a variety of people here in Utah to start one with. We had our first book club without you tonight. 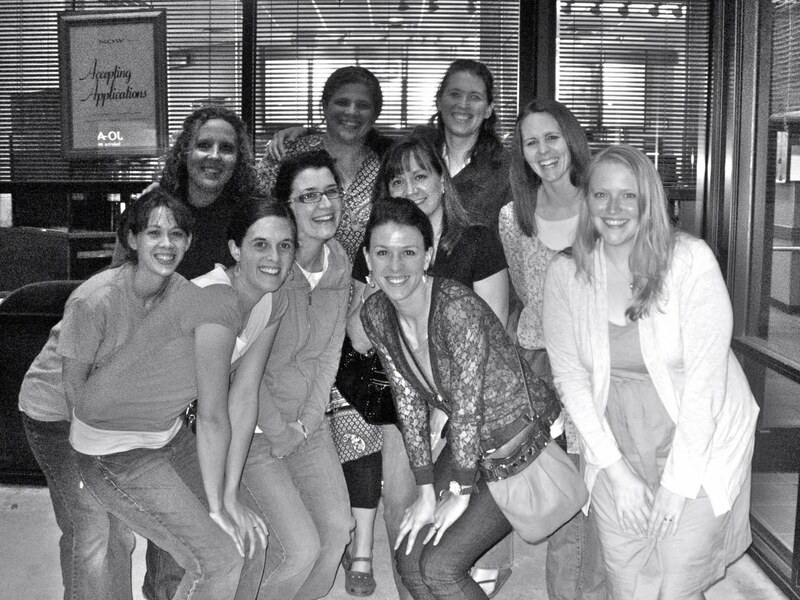 It was fun as it always is when you get a night with the girls and no kids, but it just wasn't the same. We all missed your comments and I wish you could have been there to share your thoughts. If you ever come back to Tennessee for a visit, we will have to plan a special book club meeting while you are in town. Our next book is Life of Pi if you want to read it and be with us in spirit. Hope Utah is treating you well, but we miss you out here in Tennessee. Thanks Erin. I was there in spirit for sure. Did you like the book. You never said. I hope you did. We will definitely plan a book club whenever we travel out that direction. I had to busy myself with Abigail's Girls Camp meeting tonight so I didn't have to think about what I was missing in Knoxville. Love you and I am so glad you were my most faithful member of the bookclub because I could always count on you for a really smart comment and review. Man, I wish I was there tonight. Love you and miss you more than you know.